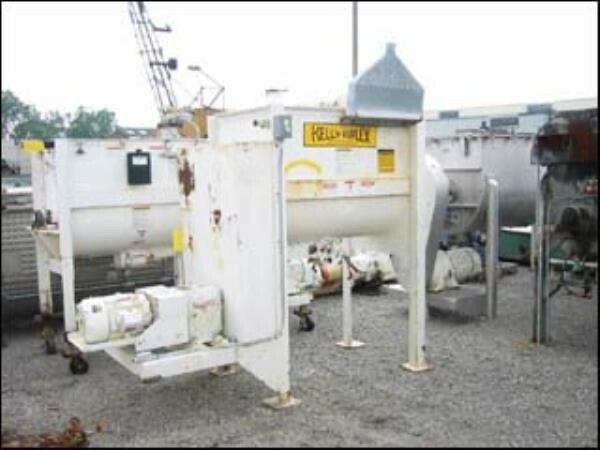 Used Kelly Duplex 16 Cu Ft Stainless Steel Paddle Blender. Stainless steel construction, 27" wide x 48" long trough, outboard roller bearings, packing glands, top cover, 7" x 7" center bottom outlet with manually operated slide gate, chain and sprocket driven with 10 Hp 230/460B gearhead drive, 32" discharge height. Delivery Time: Immediate.